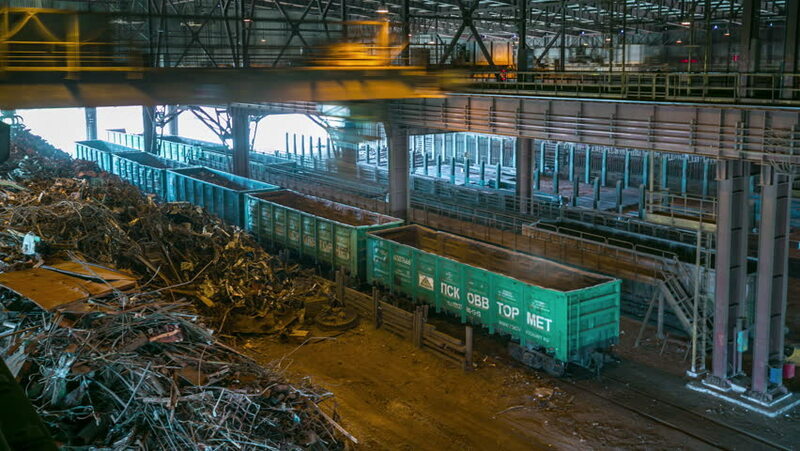 MINSK, BELARUS - JUNE 2016: metal factory scrap-metal train hall panorama 4k time lapse circa june 2016 minsk, belarus. hd00:30Camera moves down the long shelves with boxes of bottled waters. 4k00:24Industrial interior of an old building. Aerial shot. 4K footage from drone.